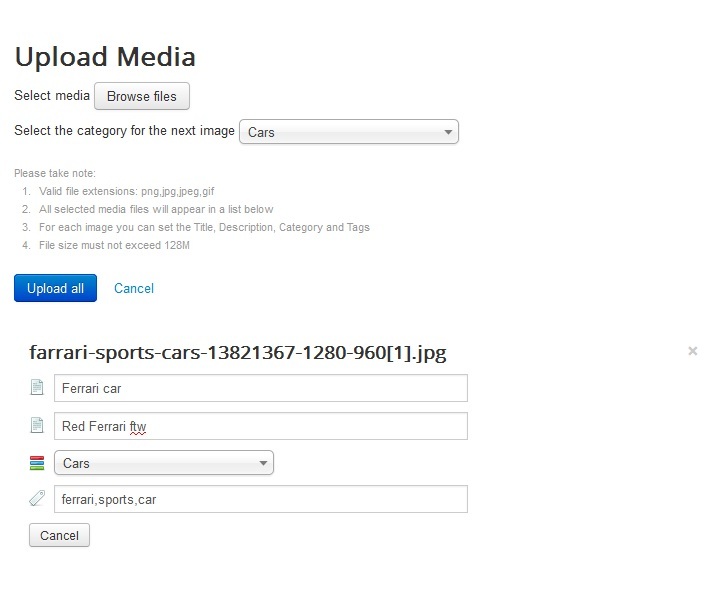 Photo Battle Factory provides an easy image voting system, requiring only a single click action for a speedy process. 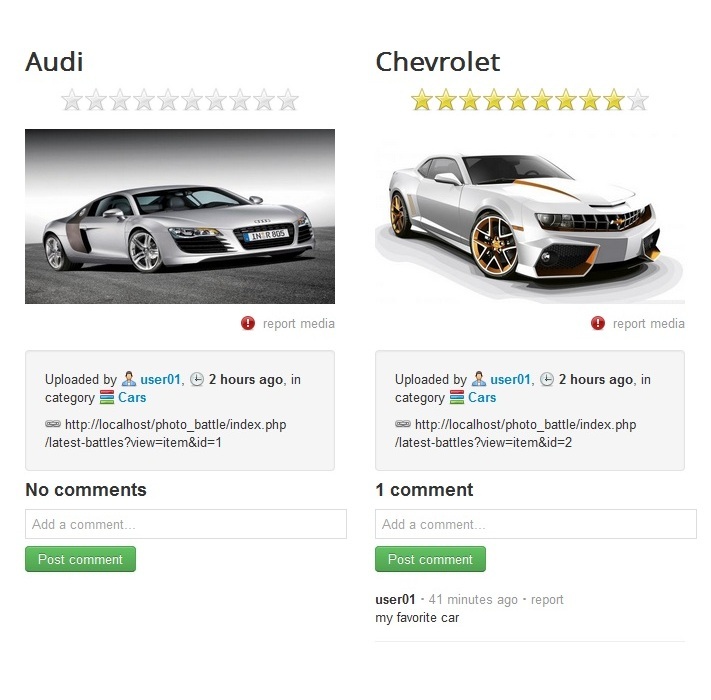 Photos can be paired together for battles and users will be able to choose which one of them wins the battle by voting their favorite photo. 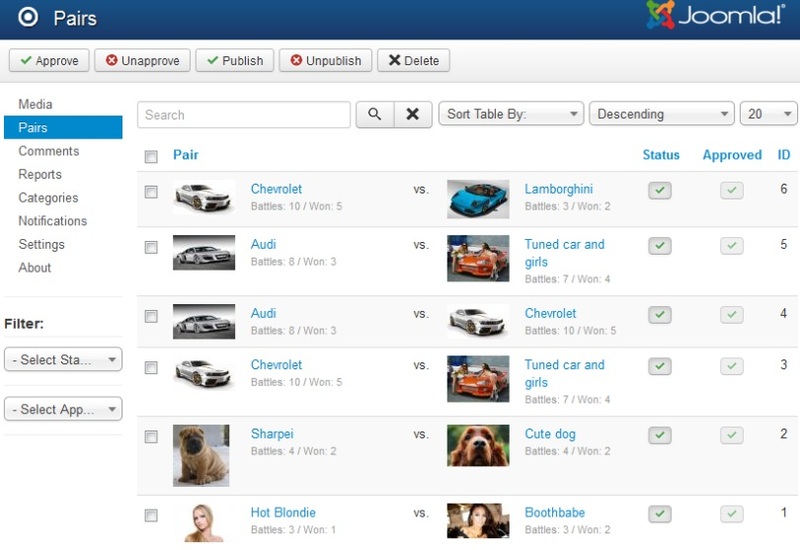 Actions: add new images and edit existing ones, deal with reports, approve images and comments, etc. Photo Battle Factory 4.2.2 released on December 11, 2018. 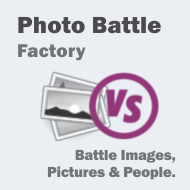 Photo Battle Factory 4.2.1 released on November 21, 2018. 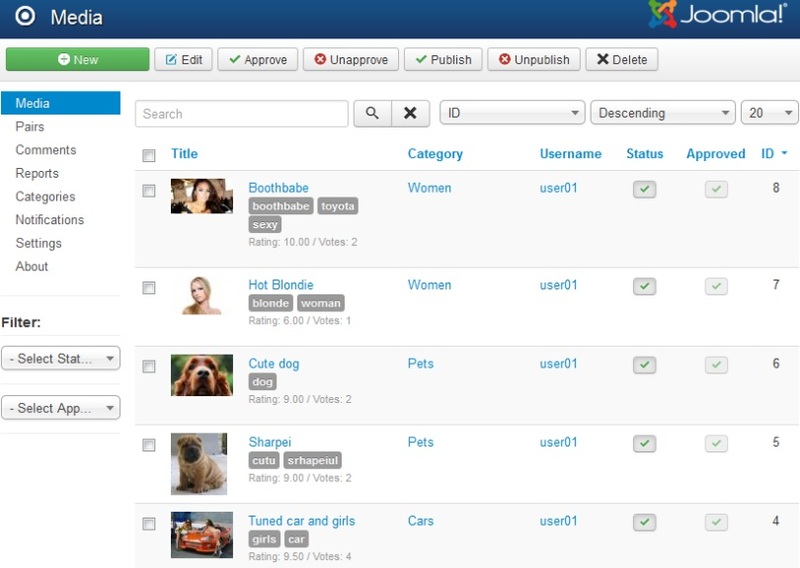 New feature: added option to select what to use as user display name: username or name. Photo Battle Factory 4.2.0 released on June 27, 2018. New feature: added option to translate notifications. 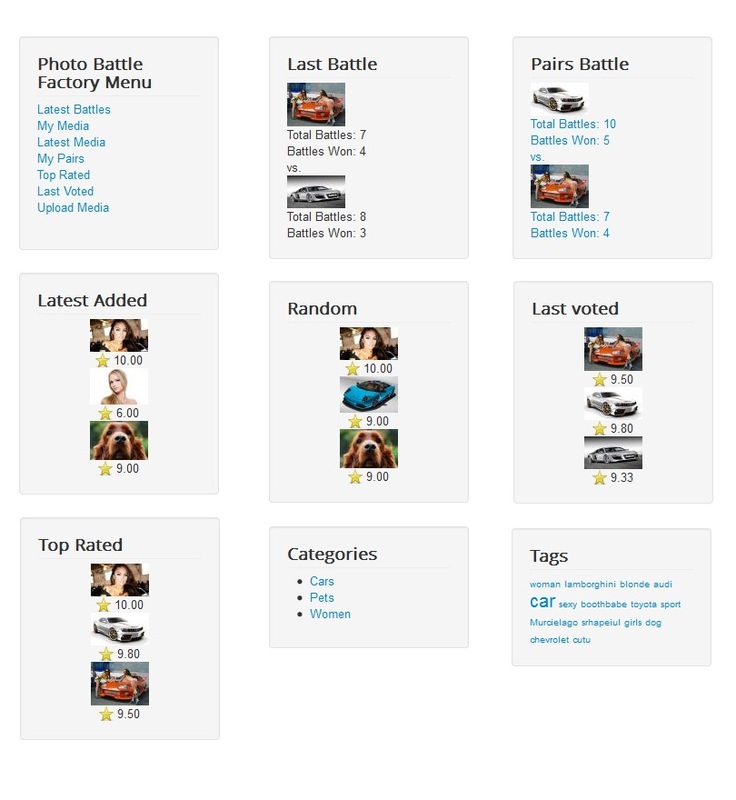 Photo Battle Factory 1.0.0 released on August 6, 2010. 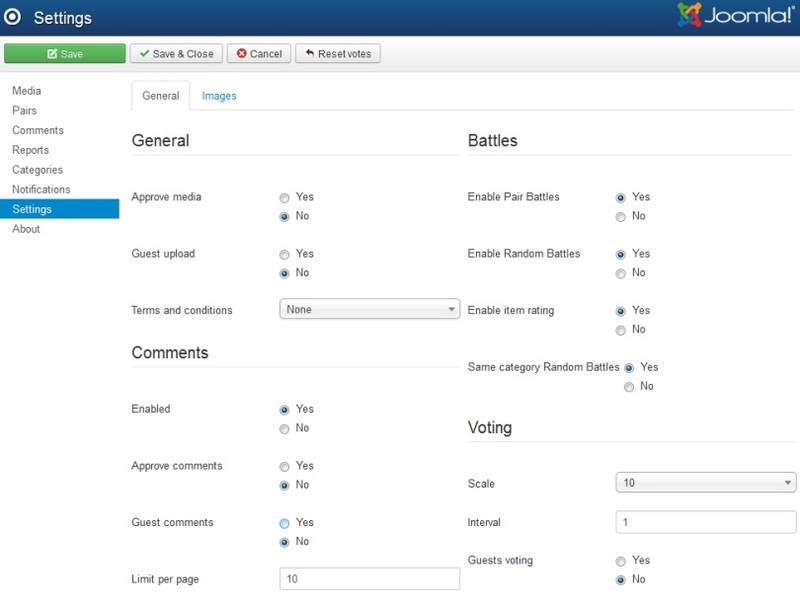 Screenshots are representing version 4.0.0 of Photo Battle Factory. 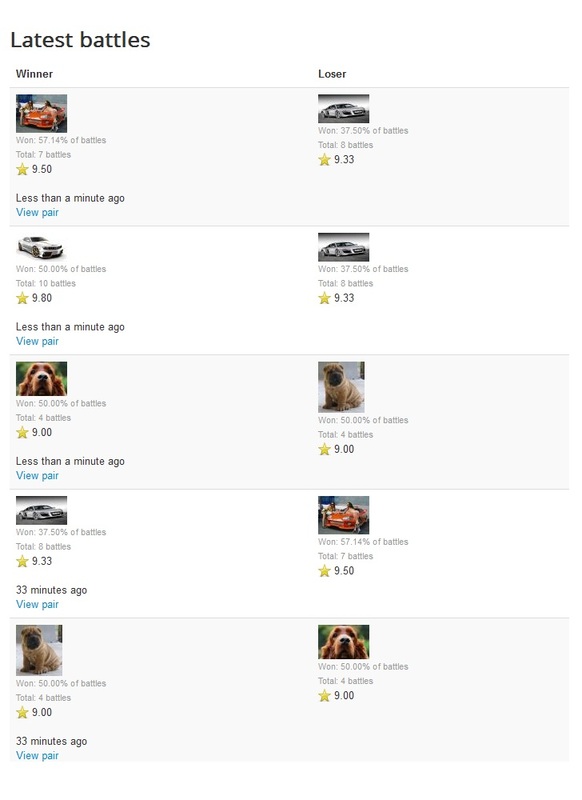 We provide the demo-server for testing purposes, where visitors can access the frontend and also the backend area. 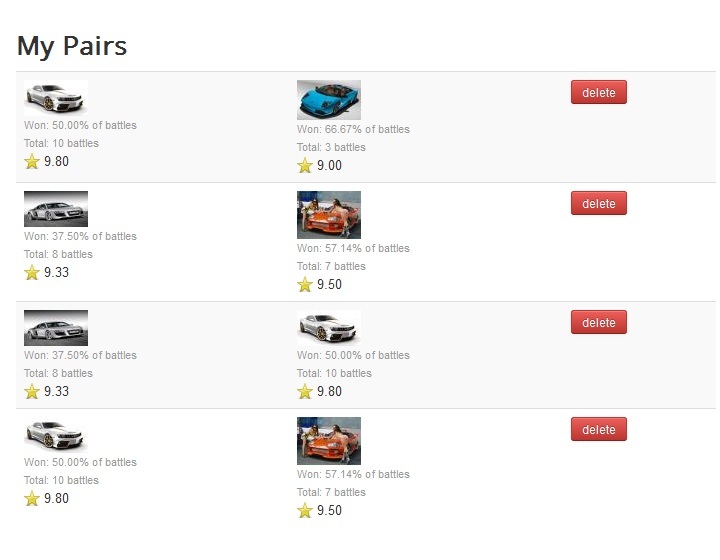 The important features are usually available on the demo-server, while some particular features including the payment plugins (if the extension in case has these features) are disabled. 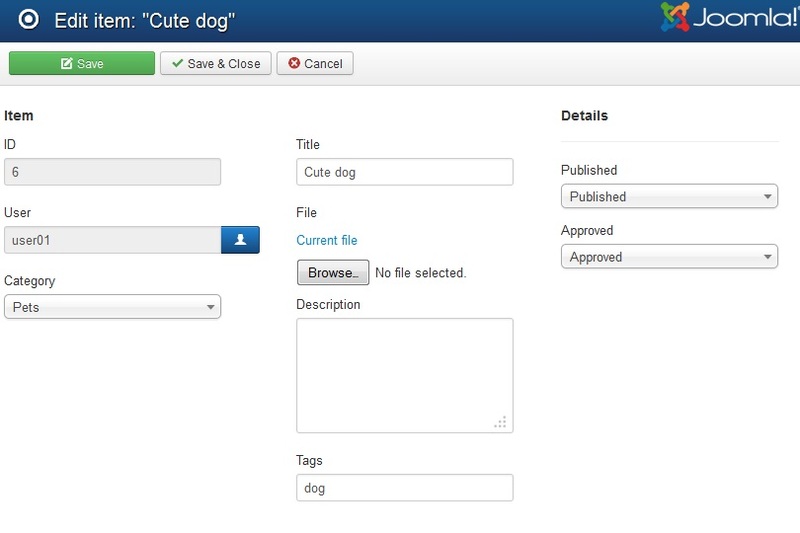 Keep in mind that for our Joomla! 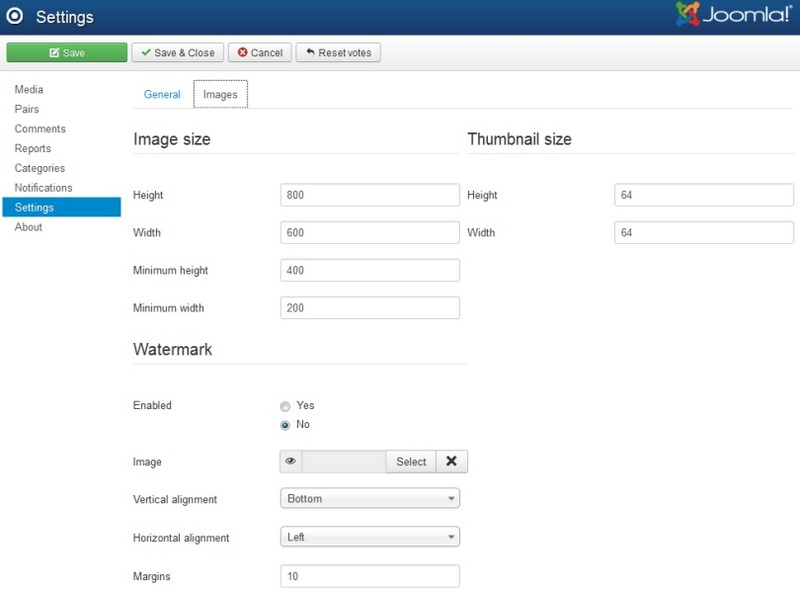 extensions supporting Smarty templates, the display is fully customizable also through our own product templates, otherwise the display remains flexible and offers the possibility to be matched with the site template through the CSS files. Please note that the demo-server is set on an hourly reset, meaning that any changes will be at some point erased and the initial values restored. We offer our extensions without encryption, in order to offer maximum flexibility for each webmaster, therefore we cannot offer any trial versions. Without encryption, each webmaster can modify the code in order to suit their own particular requirements (detailed information under our Terms & Conditions).